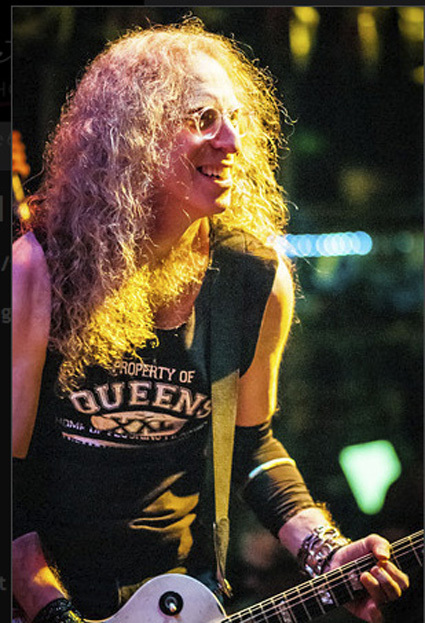 We've gotten confirmation for the next Waddy Wachtel Band gig - February 23, 2013 at The Joint in Los Angeles. Yay! Mark your calendars, and I'll remind you. 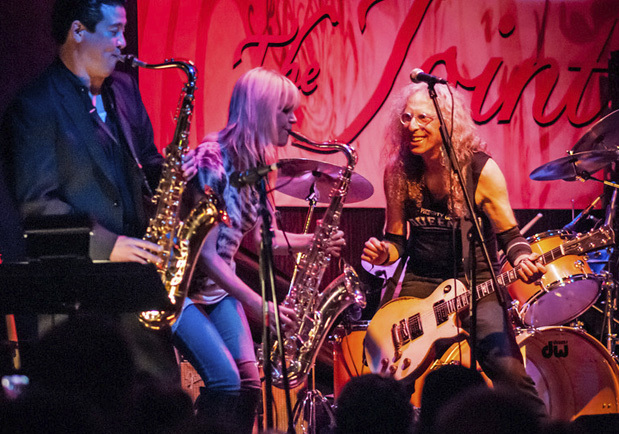 The Waddy Wachtel Band gave us all another fantastic night of rock 'n' roll at The Joint on January 19. Now we know the New Year is off to a wonderful Rockin' start! 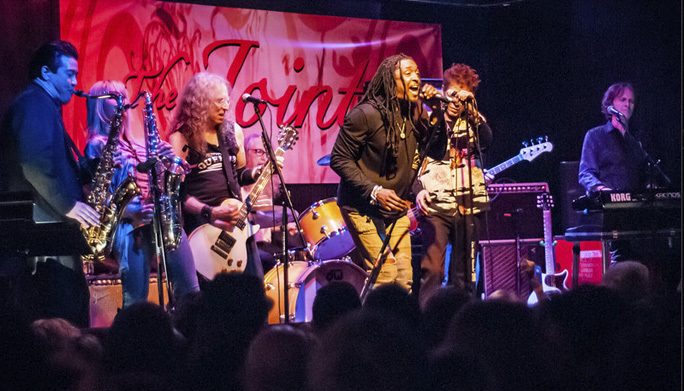 It was a full house - packed with the BEST audience any band, club and attendees could ask for. 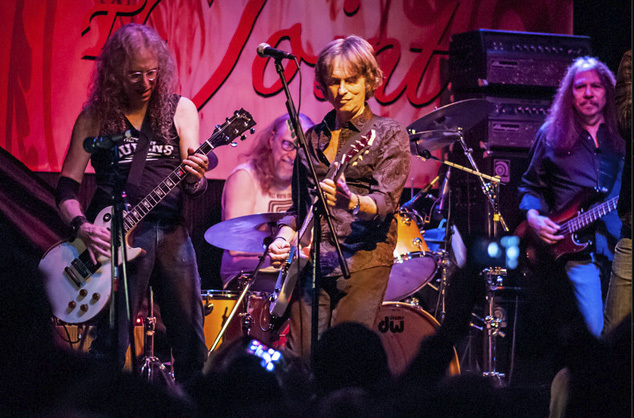 So, I want to thank all of you who came to rock it up with WWB on behalf of Waddy Wachtel, Phil Jones, Rick Rosas, Bernard Fowler, Brett Tuggle, Jamie Savko, Blondie Chaplin, Keith Allison, Mindi Abair and Ron Dzuibla. YOU all made the night deeeeelightful! Opening the night with "Highway To Hell" was a fire starter. Burnin' from the the first note! Jamie showed what an exceptional singer he is, and with the perfect performance by Waddy, Phil, Rick and Brett - they made us happy we were on the Highway with them. 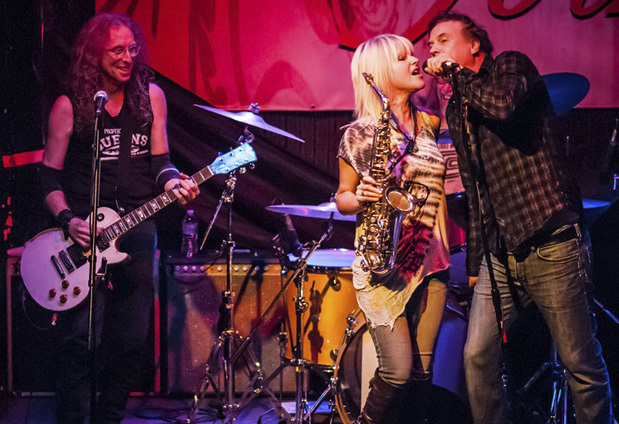 Mindi Abair joined WWB on sax for the next song "Rip This Joint." They sure did. Seeing beautiful little Mindi blow on that big brass horn - she's a total pro. Thumbs up to Mindi! 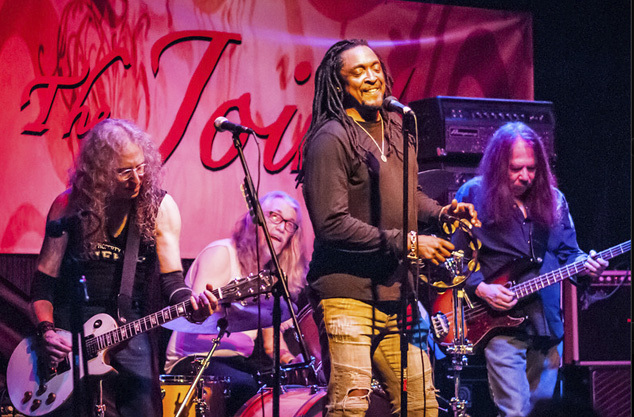 Bernard Fowler then thrilled everyone with his lead vocals on "Heroes." We were all raising one finger in the air with him when he sang "just for one day." Everyone on that stage were our heroes! 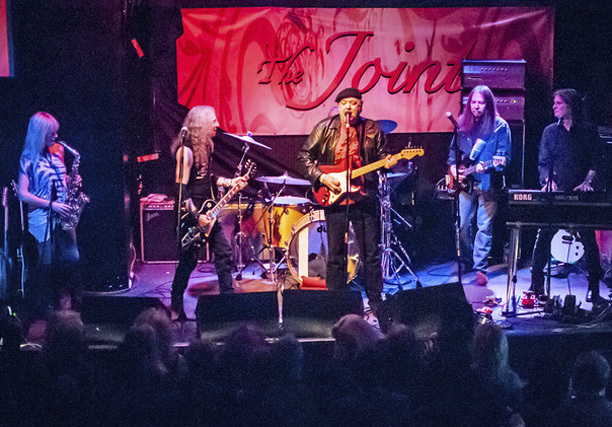 By that time, we knew....... as Bernard sang "You Got Me Rockin' " - with Waddy doing some incredible stuff playing slide guitar, Blondie and Waddy joining in on harmony vocals and Brett smoothly laying down the keyboard parts..... They definitely got us rockin'. Blondie moved to center stage for the next 2 songs, and magically worked his vocal chords showing what a great singer he is. Rockin' rendition of Zevon's "Lawyers, Guns and Money" and beautiful smoothness on "Sail on Sailor." We wanted to sail with him - and we all did! 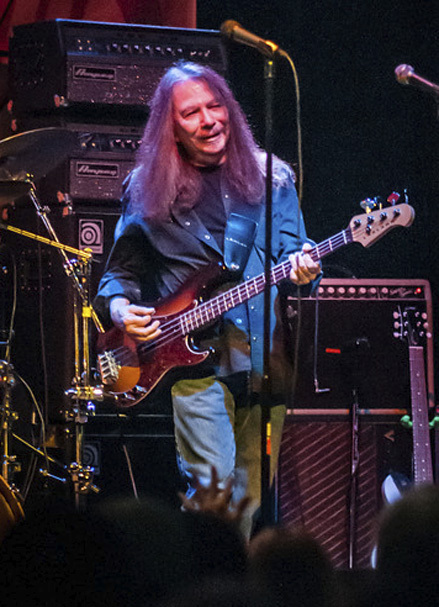 Brett was back with WWB for this gig - before heading out on tour with Fleetwood Mac. We'll miss him when he's gone. No one does "All the Way to Memphis" like he does on vocals and keyboards. He gave us a big treat performing that one at the gig with Mindi wailing on sax and Waddy playing some burnin' guitar! It was great having Keith Allison back with us too. Since he couldn't make it to the last "Holiday" show, I told him we missed him singing "Run Run Rudolph." He said: "I'll do it tonight." Thank you, Keith! Then he slayed us all with "Parachute Woman" - vocals, guitar and a tasty bit of harmonica. Then in a perfect segue into another flavor, Jamie came on and gave everyone spine tingles with his vocals on "Immigrant Song." Amazing Jamie! 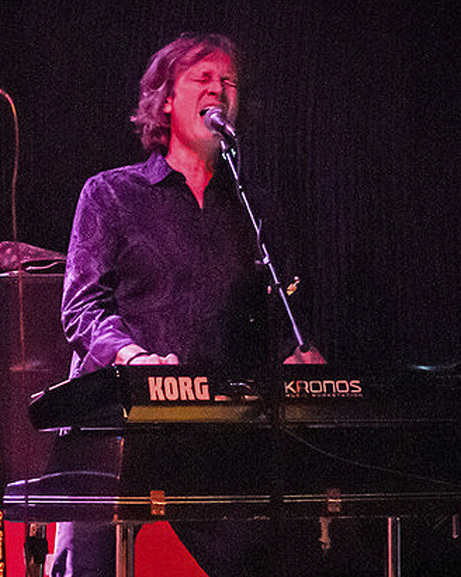 To finish the first set, Brett played keyboards and sang "I Am the Walrus" - a tune taken to new levels by WWB. A favorite for everyone. 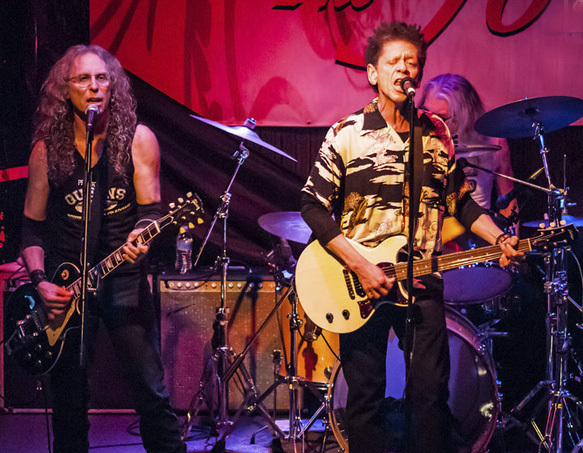 Brett, Waddy, Phil and Rick on that tune? Takes you to another planet! Mesmerizing! What a great first set! All that talent up there - for us! I told you it was gonna be a really big show! Could it get any better? Another set on the way! I'm getting kinda tired now from all that great rockin' last night, so I won't go through the second set song by song. You can check the set list. The stage got really filled up by ...... a bevy of top notch performers. Led by Waddy, they all shined like the true pros they are. Ron Dziubla arrived to blow sax alongside Mindi after an earlier gig he did for his own cd release party. Two great horn players! Nice! WWB did one new song in the second they hadn't played for us before. "Vasoline" by Stone Temple Pilots. I'd never heard that song before, but WWB rocked it! I woke up singing "It's all so beautiful" from "Itchycoo Park" - a song they played in the second set. Big smiles - because it was all so beautiful! An interesting thing Bernard did during his lead vocals on "She's So Cold" - love that song! 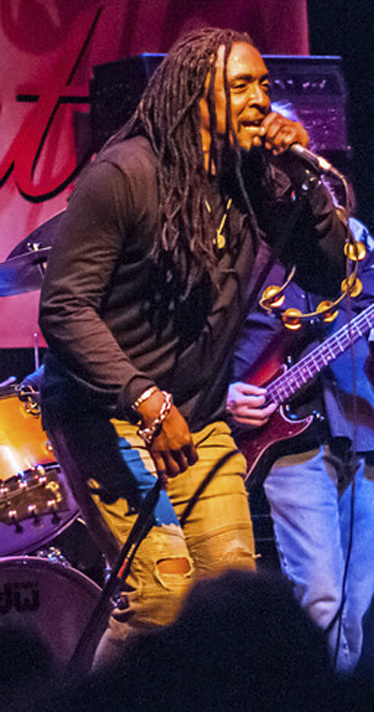 He broke into a reggae part midway through, with Waddy setting the tempo on guitar. Fun! When Blondie gave an incredibly emotional lead vocal on "A Change Is Gonna Come" he and Waddy had fun exchanging vocals and guitar riffs. Wow! Wonderful stuff. 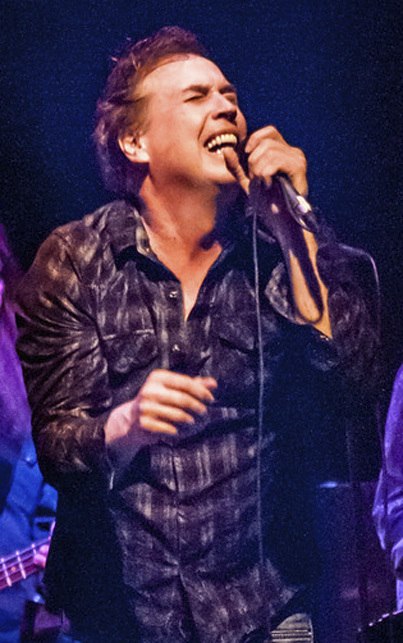 With all those great singers up there all night, Waddy did provide us with one lead vocal on a song - thank goodness! "Like a Rolling Stone." Thank you, Waddy! Before the last song, Waddy gave praise to all the very talented people who joined him on that stage to give us such a fantastic performance. Hurrahs from all of us! And he thanked us too for being there. Hurrah to all of you! A perfect ending to the night was "Rockin' In the Free World." Everyone sang along as Bernard held the mic out to us...... "Keep on rockin' in the free world." And as Waddy said before leaving the stage: "Keep rockin'! We'll be lookin' for you in February." John Philbrick, Charlie Wood and Charlie McIntosh for their valuable assistance in making everything run smoothly Saturday night. And to Ondrea, Fernando, George and Andy and all the good people who make The Joint such a cool place to put on these shows. Thank you, sweet rock 'n' rollers! See you in February!